Covered Call - What Does It Mean? What is the definition of the term "covered call"? 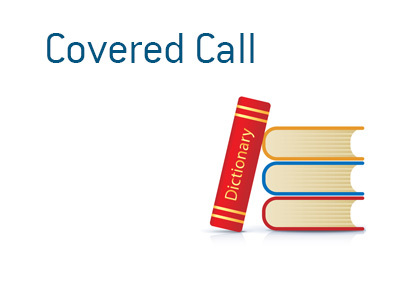 What does the term "covered call" mean in the world of finance? A "covered call" is when you own shares of a company and sell calls as well in an attempt to generate some extra income. Let's look at an example to fully illustrate this concept. You currently own 200 shares of MSFT at a cost basis of $46. Shares of MSFT are currently trading at $48. The July 24th $50 MSFT calls, which are about a month from expiry, are trading at $1.50/option. You decide to sell two of these calls, which immediately generates $300 in income for your account ($1.50/option * 2 * 100 shares per option). Now, if MSFT closes at $48.50 when the options expire, you will be able to keep the entirety of the $300 in income, as the option will expire worthless. If MSFT closes at $51 when the options expire, you will be forced to hand over your 200 shares of MSFT at $50/share, per the terms of your agreement. In this case, you would have generated a total profit of $1100 on your position ($4 per share * 200 shares, plus the $300 in option income). The problem, of course, comes if MSFT trades well past the $50 mark before your options expire, as this means that you are significantly limiting your upside in the position. If MSFT, for instance, reports stronger than expected earnings and gaps up to $55, you will still be obligated to tender your shares at $50, provided that you decide to hold your covered call. Covered calls are a great way to generate income in sideways or bearish markets, though the strategy can have its drawbacks in bullish markets, as you are limiting your upside.